← 2014 in Review at ReviewBeforeFlight! Today we welcome some NEW voices! 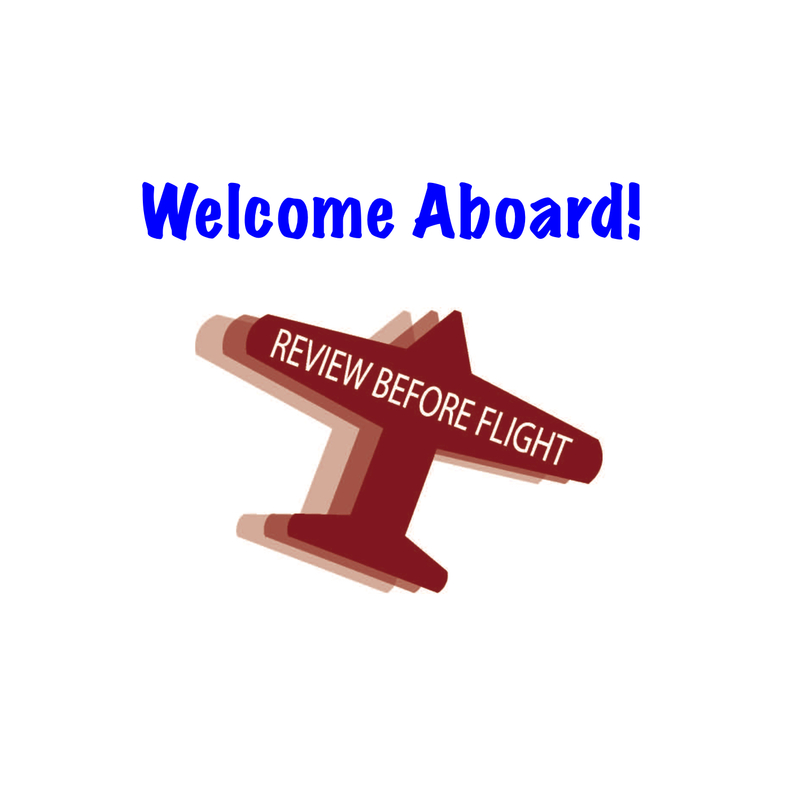 As we move into the second year of posting here at ReviewBeforeFlight it is time for some BIG news, which I have purposely done a poor job of keeping a secret… The readership has been ever-increasing and is far beyond anything I could have expected back when I started MTElia’s Flying Blog last December… Well today in another big step; we are adding not one, not two, but three new writers here at ReviewBeforeFlight. First, I’ll introduce the original PilotGEEK, Tom Nery. I first met Tom when I was a line guy at the Mansfield Airport many years ago. Tom in an instrument rated private pilot and the owner of the most impressive Piper Cherokee 180 (Pippa) you’ll ever find! Tom is one of a small group of pilots that have flown a single-egine, piston aircraft coast-to-coast & back! 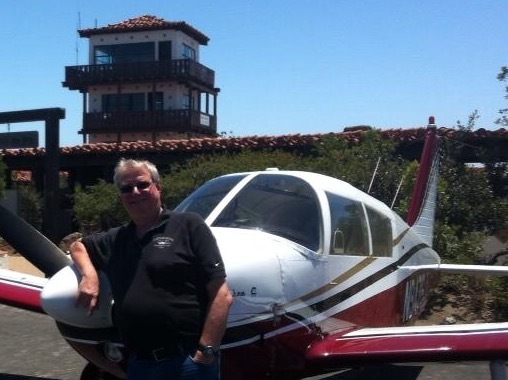 Tom and Pippa (his Cherokee) after completing a REAL cross country flight from Mansfield, MA to Catalina Island in California! Next is Jim Quinn, who in addition to being the most interesting person you’ll ever meet, has been flying for over 30 years! Jim is a great person, always willing to help others and he has a real knack for being a teacher and sharing ideas and concepts in a meaningful way. He has a wealth of aviation and life knowledge; every time I talk to Jim I walk away having learned something… Literally, I’m not just saying that. Jim with his Archer on the ramp at the Martha’s Vineyard (KMVY) airport on a chilly February morning after we flew down for breakfast from Mansfield, MA (1B9). 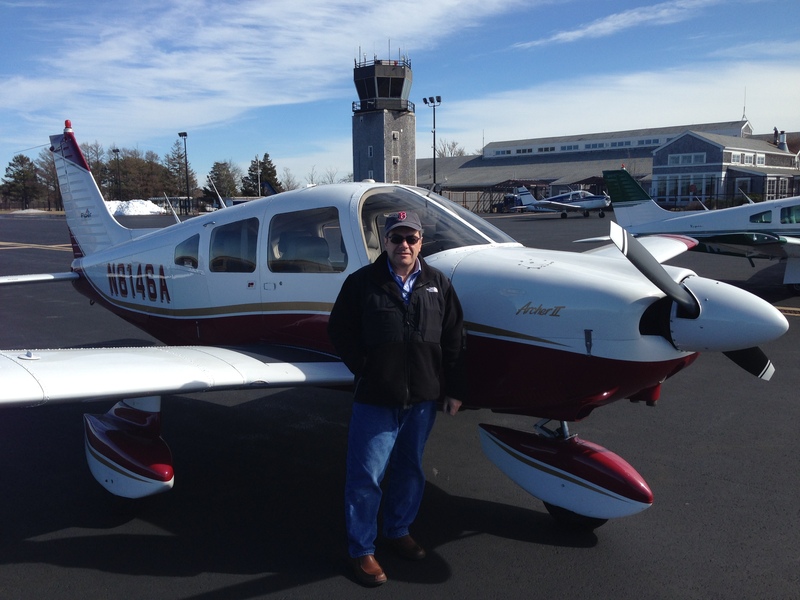 Jim is a part time flight instructor at KING Aviation-Mansfield on the weekends. In addition to being a commercial pilot and flight instructor in fixed wing aircraft, Jim also holds a private pilot license for helicopters! Since learning to fly many years ago, Jim has owned three airplanes, including his Piper Archer, which he keeps in a hangar at the Mansfield Airport (1B9). At present Jim works as a VP of Administration in the banking industry. Over the years Jim has had the opportunity to travel all over the world for business and is very well versed in international travel and cultures. In addition to having taught ground schools at KING with me since 2009, Jim previously taught private pilot ground school courses for the former ADS Flight School at the Norwood Airport. Jim’s teaching experience spans much further than the flying world, he has taught both undergraduate and graduate level courses. He taught online for the University of Phoenix and in person for Emmanuel College. Finally we come to Matt Wetherbee. Matt is a native of Massachusetts and grew up flying with his father. Matt learned to fly with KING Aviation-Mansfield while he was a senior in high school and returned during the summers while he was in college to work as a line representative. He was always on the ball and willing to lend a helping hand, he would go out of his way to learn as much as he could while helping me and the other flight instructors as much as he could. Matt attended Worcester Polytechnic Institute (WPI) where he was an active member of the Air Force Reserve Officer Training Corps (ROTC). 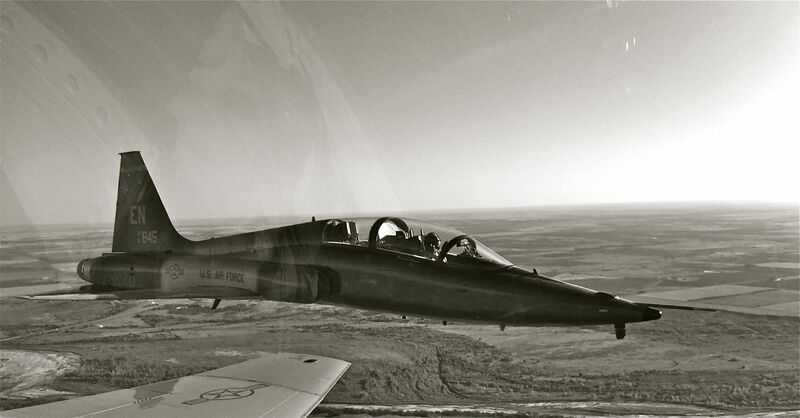 Matt flying a T-38 during his training with the Air Force! After graduating, Matt followed his dreams of flying into the Air Force. Presently station in Italy as an F-16 pilot, Matt is passionate aviation enthusiast and when he expressed an interest to share that passion here on ReviewBeforeFlight, I quickly accepted the offer! I know that you will enjoy reading the writing of all three of these great aviation ambassadors. Having flown with all three of them, I know each is the right fit for RBF and having the chance to know them I am confident they will contribute a lot of top-notch content here!